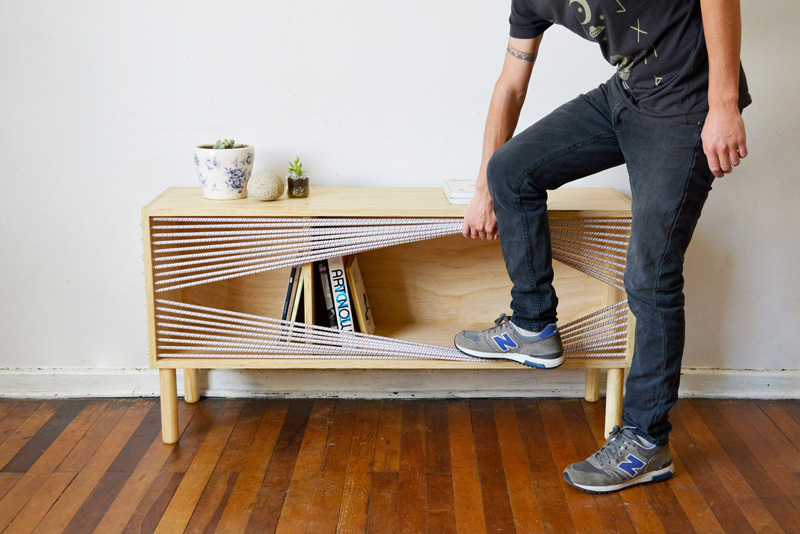 Chilean designer Emmanuel Gonzalez Guzman, has designed and made Cuerda (in English it translates to rope or string), a wooden sideboard that was inspired by the ropes of a boxing ring. 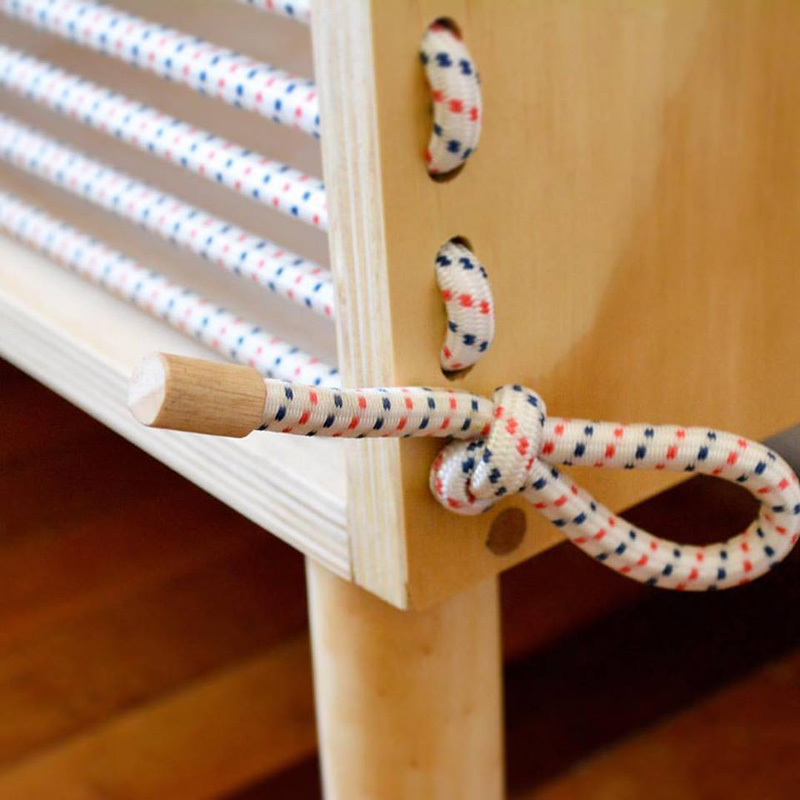 The ropes are intended to show what’s inside the sideboard, but at the same time, hide the contents. 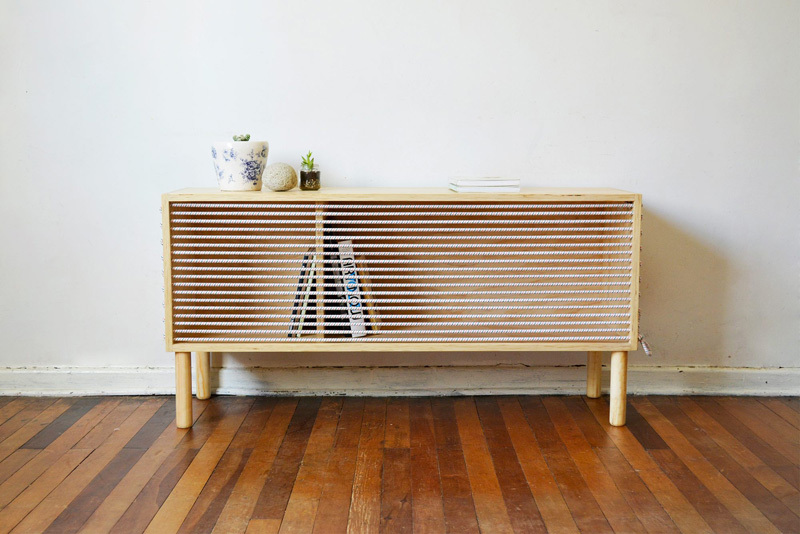 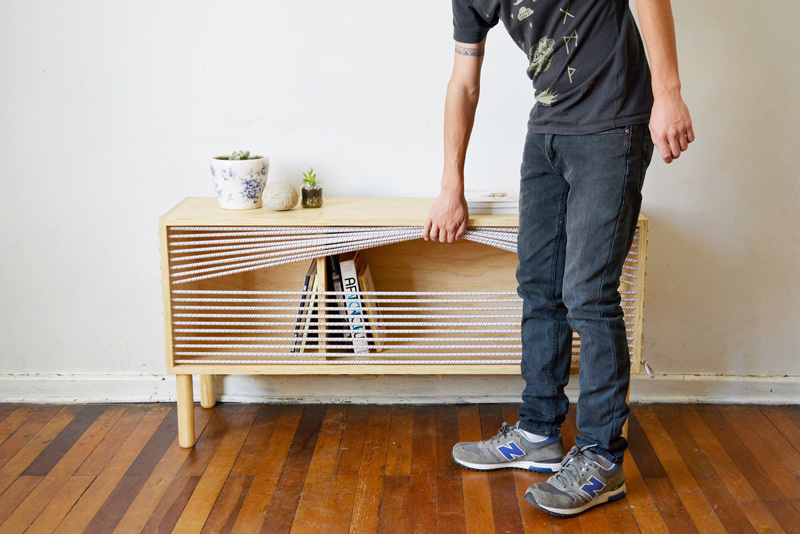 The sideboard is made from plywood, with wood turned legs, and the ropes are a high-strength elastic cord.